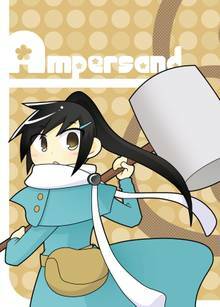 [Free Books] Ampersand｜MANGA.CLUB｜Read Free Official Manga Online! For a one-shot, this was quite good! The ending was in fact a bit predictable, but it was enjoyable nonetheless. Super fun one shot manga about time travel, linear causality, and spacetime paradoxes. My only complaint is that it's a one shot -- would love to see this story continued. This was a simplistic story that deals with time & It's paradoxes. it has an interesting premise but kinda ended fast. This manga was a short, cute, somewhat predictable but nonetheless enjoyable read. It's sort of weird to say that I like it, but I do. The thing is that its twist is telegraphed pretty obviously, and not all that original to start with. And looking back at it it's lacking in action and doesn't leave the reader a lot to chew on when it's done. That's kind of a shame on the second note because the ideas that it plays with can absolutely be used to affect thought provoking ideas. All that having been said, where it shines is in its cute art style, which is simple and clean but communicates what it needs to and is... well... for lack of a good synonym, cute. I also think that it employs brevity masterfully. That might sound like a backhanded compliment, but it's not meant that way. It's a pretty simple story and it doesn't let itself get bogged down in lengthy dialogue which might cause the reader to get bored.